A few short steps lead from the cockpit down to the saloon. 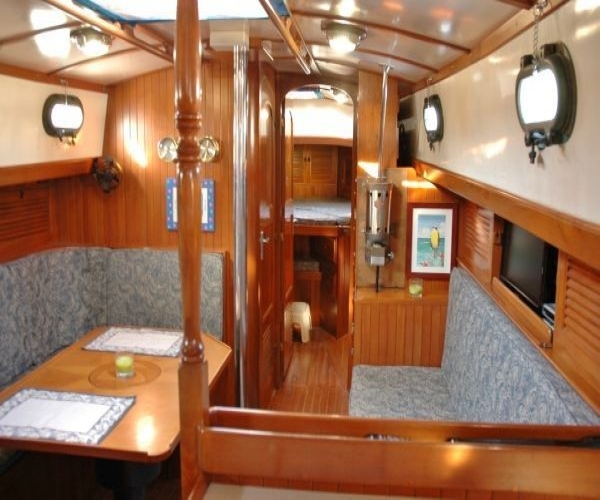 Immediately to port is the private guest cabin with a double berth. Just forward of the guest cabin to port is a U shaped settee with dining table. Opposite the dinette is a straight settee to starboard. Forward of the settee are lockers, book shelving and a cabin heater. 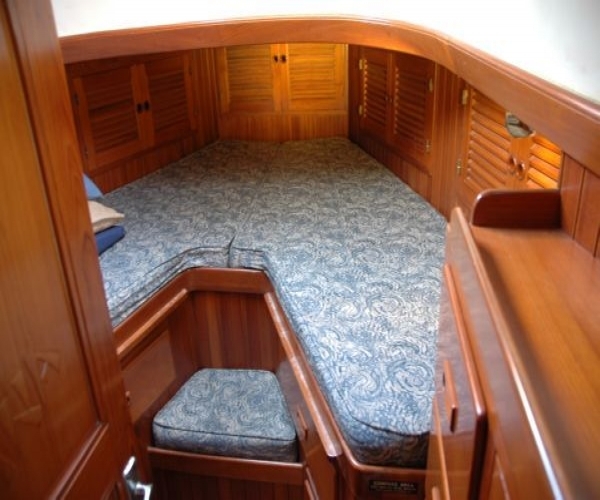 Aft of the starboard settee is a U shaped galley next to the companionway. Just forward of the dinette to port is the head with a separate shower. The owner's stateroom is forward in the vee berth. 2 private staterooms with double berths. 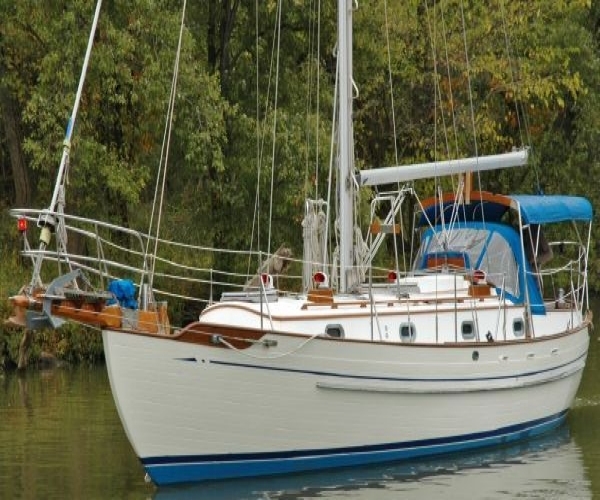 Comfortable owner's berth forward with good ventilation and a large quarter berth. Dining table handcrafted inlaid wood with Tayana logo. 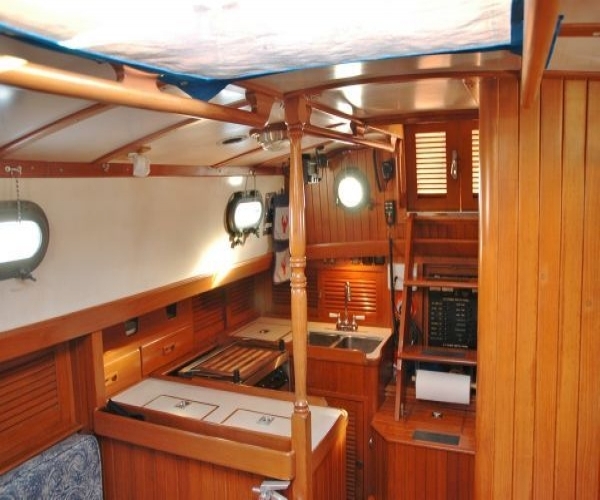 Gorgeous handcrafted spruce and teak joinery that Tayana is famous for throughout the boat. Tons of storage, with louvered ventilated lockers to help prevent mold and mildew. Starboard settee is a perfect sea berth. Rounded corners on the settees allow you to lean back, put your feet up and read a book or watch TV in comfort.